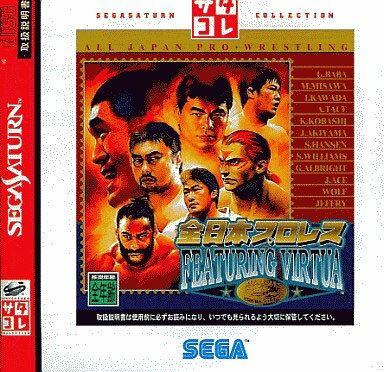 Excellent wrestling title for grapple fans using the Virtua engine and motion capture to recreate all the top wrestlers from Japan's profession with the added bonus of Wolf and Jeffry from the Virtua Fighter universe. 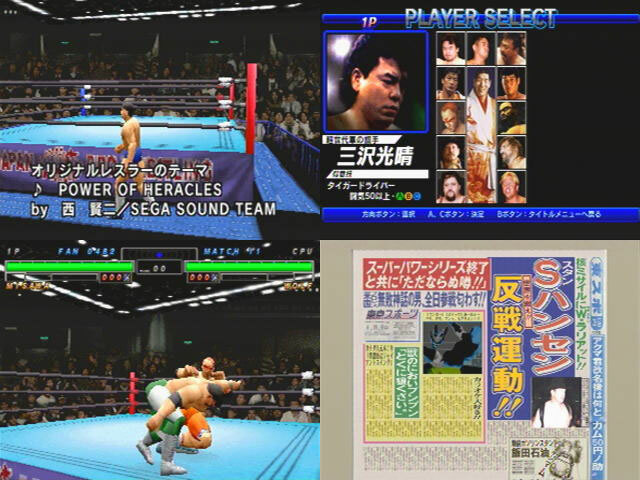 Includes a training mode and the proper Japanese commentator. Second hand. Please note: this is the Saturn Collection version. Complete with spine and registration cards. Also includes moves guide.